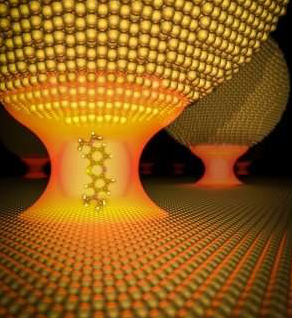 By forcing light to go through a smaller gap than ever before, a research team at Imperial College London has taken a step toward computers based on light instead of electrons. Light would be preferable for computing because it can carry much-higher-density information, it’s much faster, and more efficient (generates little to no heat). But light beams don’t easily interact with one other. So information on high-speed fiber-optic cables (provided by your cable TV company, for example) currently has to be converted (via a modem or other device) into slower signals (electrons on wires or wireless signals) to allow for processing the data on devices such as computers and smartphones. That means optical computation that previously required a centimeters-size device can now be realized on the micrometer (one millionth of a meter) scale, bringing optical processing into the size range of electronic transistors. The results were published Thursday Nov. 30, 2017 in the journal Science. * Normally, when two light beams cross each other, the individual photons do not interact or alter each other, as two electrons do when they meet. That means a long span of material is needed to gradually accumulate the effect and make it useful. 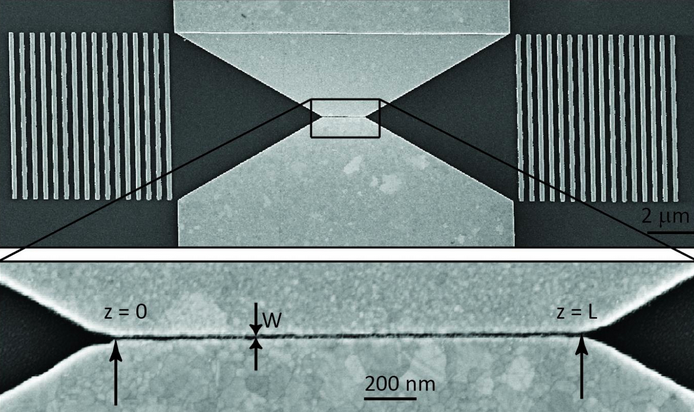 Here, a “plasmonic nanofocusing” waveguide is used, strongly confining light within a nonlinear organic polymer.